So what possibly could be the cause of the musty odour? Besides becoming irritating, musty odours could be related to a greater issue, that issue being mould. The cause of mould can often be the result of a high moisture content trapped within the atmosphere of the property – better known as condensation. Tiny microscopic mould spores move through the air, these spores then condense on cool surfaces such as furniture, windows and walls. This then develops into black and green coloured mould spots, which are commonly found in damp areas of the home. The stale odours are trapped in the microscopic spores which hover around the property and are known as ‘volites,’ these are gases created from mould fungal colonies. These types of smelly gases lead to headaches, queasiness and tiredness when inhaled, which can have an impact on the health of anyone living in the affected property over time. 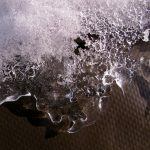 Why is mould a severe issue? 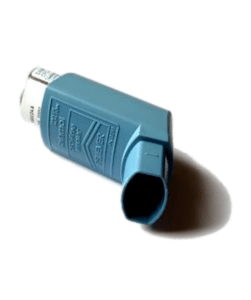 Regular exposure to damp and mould can lead to respiratory problems and for example, in the cases of people who already have asthma, can worsen their condition. In severe cases, it can also lead to aggravated symptoms where individuals have skin allergies. These are very common health issues, especially for many home owners in Britain due to the cold and damp weather conditions. 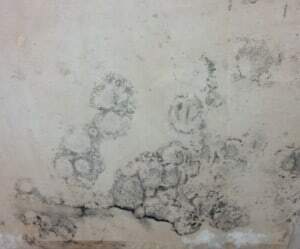 Apart from having a harmful effect on the health of those who inhale these types of mould spores, mould can also damage the interior finishings of a property. Mould discolours furniture as well as walls with a coating of fungal growth, leaving behind a dusty growth together with a stale odour. It is therefore important to be aware of the effects of damp and mould. 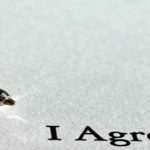 Early detection of an issue can prevent further harm to occupants of the property and damage to the property itself. While damp is the main cause for a musty smell, our customers often ask does woodworm cause a smell in your property? The woodworm itself does not smell, however, woodworm beetles are attracted to dampness in timber so it will be the wood that might actually smell. As mould is caused as a result of prolonged condensation, the first step to curing a mould issue would be to help control the condensation levels by reducing the level of humidity within the atmosphere in the property. This can be done by taking simple steps as suggested in our Condensation Control Leaflet, or through introducing ventilation into the property in the shape of fans or positive pressure systems. If you suspect an issue with mould and damp within your property it is advisable to speak to a specialist that can conduct a survey to identify the source of the problem and recommend the best way forward for you and your property. Do not ignore the mould problem by just wiping it off, painting over it and then spraying air freshener, as the mould will continue to grow back resulting in even more mould spores, causing the damp and foul odours to return. 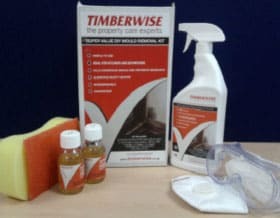 To help with the removal of mould within the property Timberwise offer a super value mould removal kit to remove and prevent mould growth. The kit is available to purchase on-line for £36.95 Inc. VAT and Delivery. Musty smells tend to develop in properties that are damp, damp and dark. If the source of the issue is to do with the dust in the property then small adjustments such as improving the light in the room and cleaning all the dusty areas around your property will help alleviate the problem. Improving the airflow in your property is important to reducing condensation in your property. This is can be achieved by getting the ventilation right in the property to make sure mould does not come back once you have removed it. Once you’ve discovered the cause of the mould problem it’s important to keep the property well ventilated to prevent the damp and mould from coming back. In some instances, it may be necessary to use an extractor fan to generate the airflow – especially in areas of high moisture such as the bathroom and kitchen. Where there are no extractor fans present it is a good idea to try to keep activities that generate moisture into the air isolated as well as keeping windows open to allow air to flow in and out of your property and the take the moisture-laden air outside. To find out more about mould and damp give our team Timberwise expert a call on 0800 288 8660 or complete our online survey request form for help and advice and will contact you as soon as possible.